These 7 experiments shine a light on the darkest crannies of the mind in order to help you better deal with people both in and out of work. Back in my university days experimental psychology was my favorite course. Why? Because I got to learn about the most unbelievable psychological experiments that had ever been conducted: the experiments that made history by changing the way we understand emotions, attention, memory, and the concept of evil. Some of these experiments are memorable due to their brilliant setups, others for their complete lack of ethics. Whatever the reason for their notoriety, the tie that binds them is that they can teach us something basic and vital about human beings – ourselves and those around us, coworkers to bosses to romantic partners. Why we do what we do both in our personal lives and the professional sphere can be thoroughly explained by science – and here are 7 of the most startling (and revealing) scientific experiments psychology’s ever given us. 1. “Love On a Suspension Bridge:” are you sure that’s what you feel? 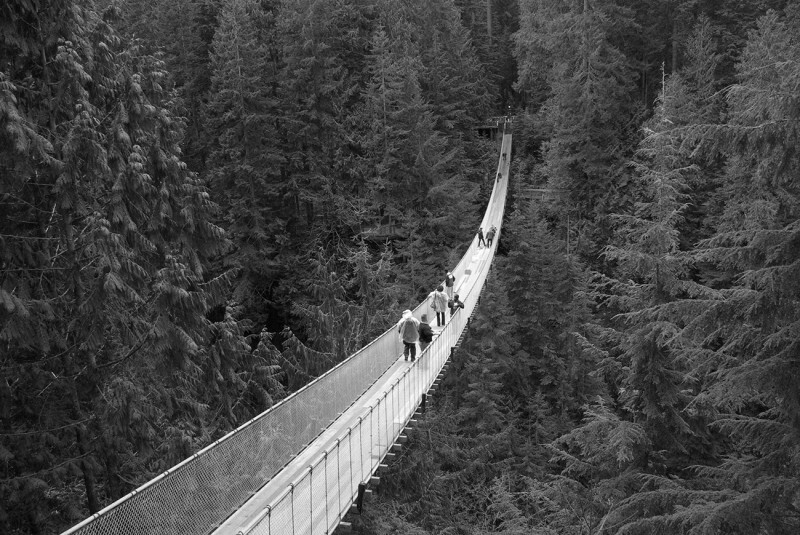 Capilano Suspension Bridge, where Dutton & Aaron conducted the experiment. 50 percent of the “suspension-bridge group” called to “talk about the study,” compared to only 12.5 percent of the other group. Interestingly, the suspension-bridge group’s stories also contained more sexual innuendo. Researchers concluded that participants confused their feelings of anxiety about being on a dangerous bridge with romantic feelings for the researcher. In other words, this experiment showed how easily we confuse our emotions and misattribute our arousal. The takeaway here is that what you think is bothering you might not be the actual root of the problem. Before you jump to any conclusions – marriage proposals or business ones – take a critical look at what’s going on outside to influence that decision. Your frustration with your colleague might be more about you having skipped lunch and feeling ravenous. Learn more in The Art Of Choosing. In 1999 psychologists Daniel Simons and Christopher Chabris asked subjects to watch a short video of six people – three in white shirts and three in black – pass around a basketball. While they watched, they had to keep count of the number of passes made only by the people in white shirts. Now. Here’s where it gets weird: About half-way into the minute-long movie a person in a gorilla costume strolls across the room, stops to pound his chest, and then exits. And what’s even more curious: half of the subjects didn’t even notice it, and replied “nothing” to the question of whether they had noticed anything out of the ordinary. This experiment goes to show that our attention, no matter how observant we consider ourselves, is selective and narrow. We miss a lot of what goes on around us when we’re engaged in a specific task. It also provides further substantiation for just how beneficial it can be to take a break. If you’ve been trying to crack an unsolvable problem or inject a much-needed dose of inspiration to a presentation, get up from your project, take a walk around and get your mind off of what you’ve been working on. Doing this allows you to break that single-minded focus that keeps you from seeing the obvious solutions you’ve missed or the anomalies that might be holding you back. Read more about this experiment in The Art of Thinking Clearly. In addition to believing you’re observant, you probably also assume you’re a rational being who sees and remembers the world as it really is. But sadly, a wealth of studies show that both our thinking and our memory is brimming with bugs and biases. One of the more discomfiting experiments conducted in this vein is by Nobel-prize-winning psychologist Daniel Kahneman. Back when colonoscopies were a very painful procedure, Kahneman found that people’s memories of how unpleasant it was didn’t have anything to do with the length of the procedure. By asking the patient “How much does it hurt now?” on a scale from 0 to 10 every 60 seconds throughout, and then later asking the patients about the memory of the colonoscopy, he found that the patients’ memories actually depended on a) the most intense point and b) the experience’s grand finale. The patients’ memories of pain was an average of the worst moment in the colonoscopy, and how badly it hurt when the procedure ended, meaning that those in less pain toward the end rated the experience as less painful even than those who had a quicker procedure. Kahnemann concluded that memory is dominated by duration neglect, wherein we ignore the total duration of an event in favor of a particular memory from it, and the peak-end rule, where we overemphasize what occurs at the peak and at the end of an event. You might be able to see this at work in your own life when you consider work relationships. Imagine that the last time you worked on a branding presentation it was with Sarah the designer, Paul the project manager, and Talia, a senior strategist. If you had one mid-term fight and the end of the project went poorly, you’re more likely to rate the whole experience as nightmarish, even if the parts in between went great. It’s worth it to take into consideration your own duration neglect and the peak-end rule the next time you’re dreading a new assignment. Do so and you’ll be able to get a much more realistic bead on how a similar future encounter is likely to go. Read more about this experiment in Thinking, Fast and Slow. In 1961 Yale University psychologist Stanley Milgram started a series of social psychology experiments that showed how easy it is for most of us to become an instrument of authority. The so-called Milgram experiment involved having a subject in one room administer an electric shock to a person (actually an actor) in a separate room, whenever that person answered certain, increasingly difficult questions incorrectly. With each incorrect answer, the voltage of the “shock” also increased. At some point, most subjects asked to stop the procedure because the screams from the actor became increasingly distressing, but when the “scientist” urged them to continue, 65% of them conformed to administering what they thought were deadly shocks. Thus, it seems that although we value our individuality, authority figures have a lot of influence over us and we’ll conform readily when given orders. Understanding this experiment helps us be more realistic about the sovereignty of our will. It can also help us be more vigilant of how we respond to requests our superiors make of us. The next time your boss asks you to do something that you don’t entirely agree with, even if you’re compelled to go on with it, think again. Speaking up might not save another human from real or imaginary torture, but your awareness of the very human tendency to bow to authority could help you make smarter choices. In 1971, Mischel and Ebbesen conducted the The Marshmallow Test in order to study the effect of deferred gratification. Here, they used children and their ability to wait to obtain something that they wanted: treats! In this brilliantly simple test, children chose their favorite treat. Then, a researcher told the children they could either have the treat now, or have two after the researcher had left and come back. The child was then left alone with the treat on a tray in front of them. Researchers secretly watched the children to see how they would handle the situation. Naturally, some children ate the treat right away. Others waited a bit, then ate it. Some children, however, managed to resist the treat, and this, it turns out, was a wise move: The willpower that the more patient children had exercised actually correlated strongly with success in their adult lives. The strong-willed children scored better on everything from ability to focus, SAT scores, planning ahead, and ability to maintain personal relationships. What do these findings mean for grown ups? Simply that exercising your willpower and self-control on one small area has a spillover effect on other areas of your life. Resolve not to check your email ‘til lunch and you’re working out your willpower for later, when you’ll need to plug away at learning code. In a nutshell: willpower is a muscle that you can exercise – even if you didn’t have much as a kid – and doing small exercises in will-building throughout the day can help you strengthen it. 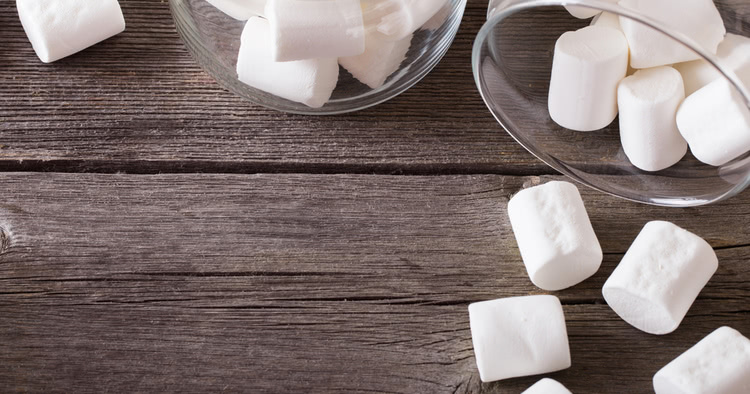 Read more about this experiment in The Marshmallow Test. Smile and you’ll be happy. Fake it ‘til you make it. Research has proven that how you behave does indeed shape your emotions and personality, meaning that role-playing certain characteristics can actually help you develop them. Psychologist Philip Zimbardo’s infamous “Stanford prison experiment” from 1971 illustrated this concept rather dramatically. Zimbardo had volunteers role-play a prison situation wherein half were prisoners and half were guards. Those tasked with play-acting the part of guards actually became abusive and violent almost immediately. While the volunteers at the start merely pretended to be abusive guards, their feelings and behaviors adapted almost immediately to the new situation. The result? Zimbardo had to stop the experiment after just six days, even though it was planned to run for two weeks. The experiment gained so much attention that the BBC did a partial re-enactment of the experiment and broadcasted the study’s events in a documentary series called The Experiment. Here, it was also demonstrated, how easily people internalize the behavior of certain (either submissive or aggressive) roles they play, in turn showing us just how malleable we can be. Though Zimbardo’s experiment showed how distressingly prone people can be to acting cruelly and violently, there are far more positive ways to construe these findings. For example, if you want to be more confident, simply acting it can help make it so. Equally, if you’re in a leadership position and want to groom one of your shier employees to take your place when you make a lateral move to a different department, giving him more leaderly responsibilities can start him on the right path. Read more about this experiment in The As If Principle. Researchers set up a stand with different jelly samples for people to try and then buy at a discount. The experiment was conducted over two days, with 24 varieties of jelly on the first day, and only six on the second. The results showed that they sold ten times more jelly on day two, indicating that too much choice decreased the customers’ ability to make a decision, and that they thus opted out of buying at all. In the wild, this has plenty of important implications for you. Consider writing an ad for a new product. Of course you’ll be thinking about USPs and comparing your product to your competitors’. Even if what you can provide is leagues beyond the competition, consider limiting yourself to the two or three absolute strongest selling points for your own product. It will help focus your offering and, in turn, focus your customers. Read more about this experiment in The Paradox of Choice. Check out all of the books mentioned here in full, or read their summaries on Blinkist to figure out where to start.